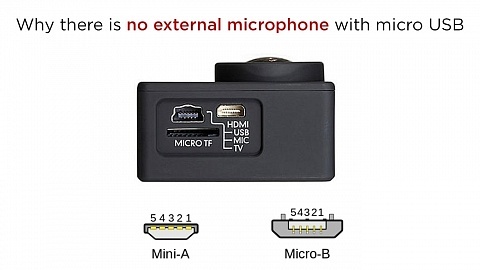 Be aware that Live Streaming is only available on YI 4K+ and YI 4K. 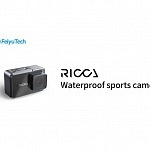 It is not available on YI Lite, YI Discovery & original YI action camera. 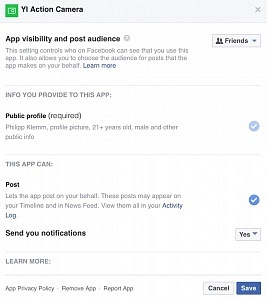 Important: Check your privacy settings on Facebook. 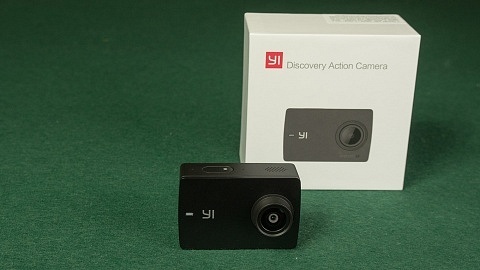 Go to Apps and look for YI Action Camera App. Check post audience for whom it is visible and select “public” or “friends” to whom you want to make your live stream visible! 1 – Open YI Action App on your smartphone and click the “Plus” on the upper right corner and “Create Live”. 2 – Choose your Wi-Fi and enter your password. 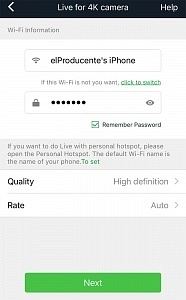 If you want to use your phone’s Wi-Fi you have to create a hotspot from your phone and select it. You can also choose quality and Bitrate according to your internet connection. 3 – Enter a title for your live-stream, choose a thumbnail by clicking on the picture and enter tags. 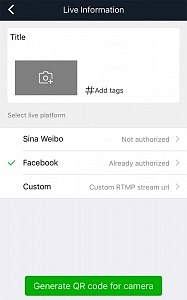 These settings apply for the broadcast via YI App. Select a live streaming platform, Facebook in this case. If you have not connected your YI App to your Facebook account you have to authorize it first. 4 – a QR Code is generated and displayed on your phone. 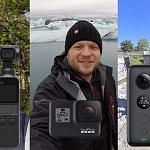 5 – Choose “Live” mode on YI 4K Action Camera. 6 – Scan the QR code on phone with your YI camera. 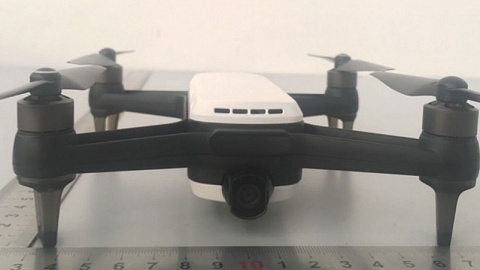 7 – Once connected to Wi-Fi and server successfully, the Live Stream will start. 8 – You can now watch on Facebook and YI Action App. To establish a live stream on YouTube you need a computer to see your custom URL. 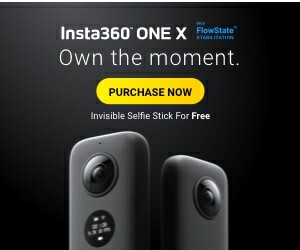 Save it to your phone, so you can livestream without a computer afterwards! 1 – Go to your YouTube channel – creator studio – Live streaming – Stream now. There you will find “Encoder Setup” with a Server URL & Stream name/key. 2 – Open YI Action App on your smartphone and click the “Plus” on the upper right corner and “Create Live”. 3 – Choose your Wi-Fi and enter your password. 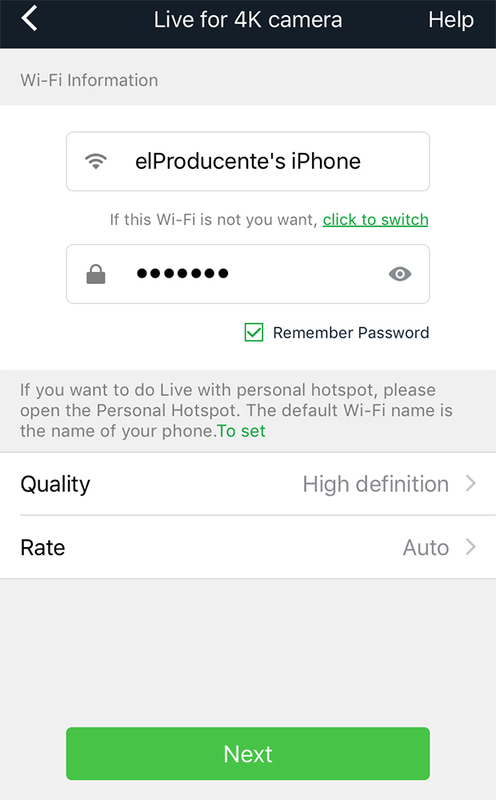 If you want to use your phone’s Wi-Fi you have to create a hotspot from your phone and select it. 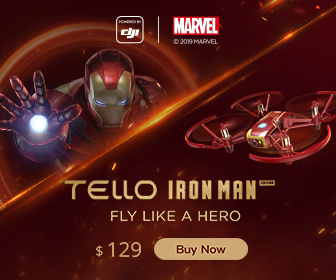 You can also choose quality and Bitrate according to your internet connection. 4 – Enter a title for your live-stream, choose a thumbnail by clicking on the picture and enter tags. These settings apply for the broadcast via YI App. You have to enter the title & description on YouTube in the Live Streaming setup page. 6 – a QR Code is generated and displayed on your phone. 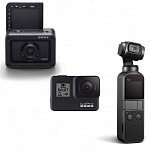 7 – Choose Live mode on YI 4K Action Camera. 8 – Scan the QR code on phone with your YI camera. 9 – Once connected to Wi-Fi and server successfully, the Live Stream will start. 4 – Enter a title for your live-stream, choose a thumbnail by clicking on the picture and enter tags. These settings apply for the broadcast via YI App. 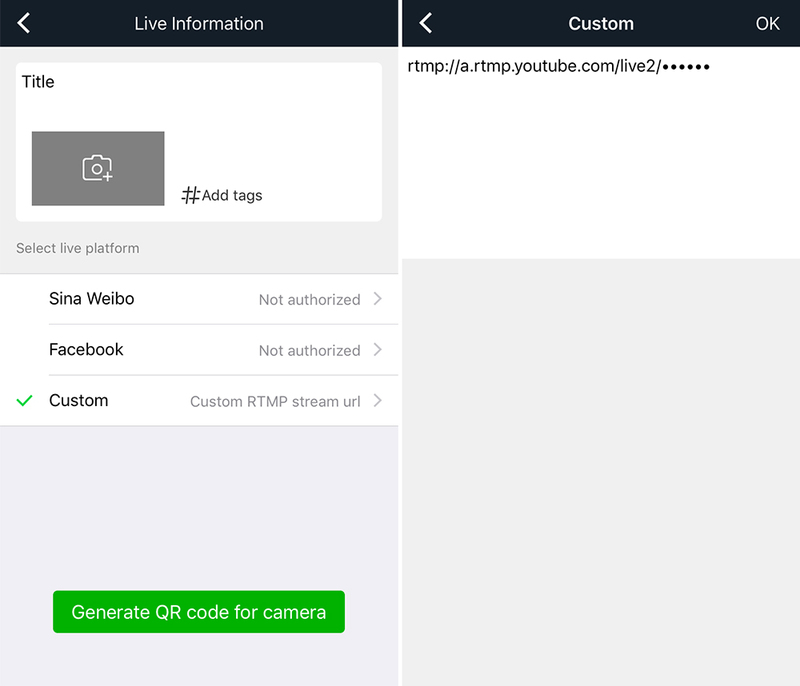 Select a live streaming platform, this time “Custom” and enter the URL including the streaming key generated earlier. 5 – a QR Code is generated and displayed on your phone. 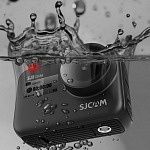 6 – Choose Live mode on YI 4K Action Camera. 7 – Scan the QR code on phone with your YI camera. 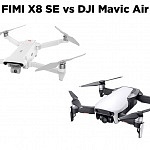 8 – Once connected to Wi-Fi and server successfully, the Live Stream will start. It seems that recently users had issues to create the QR code. Could be that there is something wrong with the YI app. I could solve that in the past by removing the app from the phone and installing it again. Careful: Your profile is stored with YI, data that is stored within the app on your phone will be lost!